ABSORB MORE NUTRIENTS! 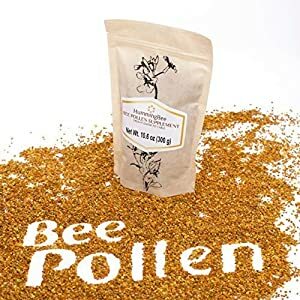 Enjoy the organic and all-natural rejuvenating and nourishing effects of potentiated pollen without worrying about artificial additives and harmful chemicals. 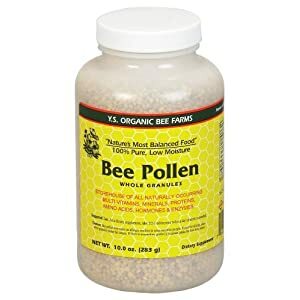 Pollens are non GMO because they are grown in organic conditions and not in a laboratory and have no additives. 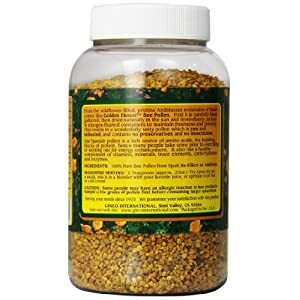 Compared to store-bought bee pollen products, potentiated pollen ruptures the pollen cell wall which allows your digestive juices to absorb more nutrients. POWER UP NATURALLY. 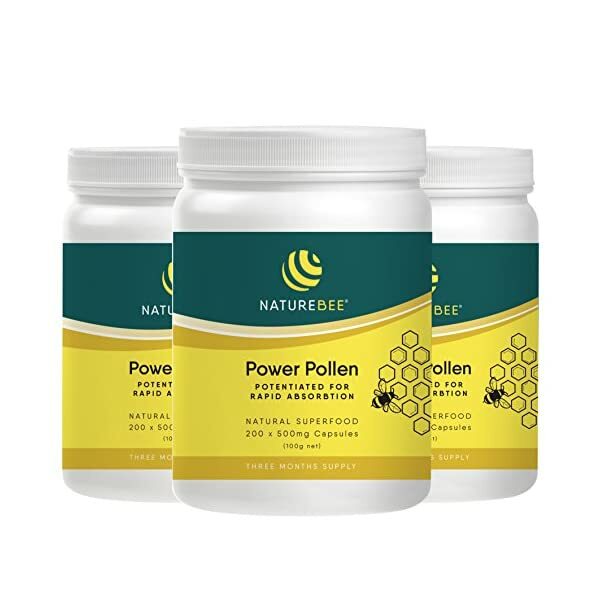 With its 27 vitamins and aminos and 28 minerals, Naturebee Potentiated Pollen is the best and natural way to power up and stay energized throughout the day. Get more done with the energy boost you’ve always wanted brought to you by Mother Nature. Breeze through your daily routine and even have energy left for your exercise routines at the gym after it all. BOOST YOUR BRAIN POWER. 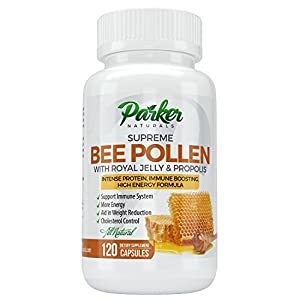 Fight off the damaging effects of stress and your fast paced lifestyle with 24 beneficial fatty acids and a balanced range of antioxidants packed in your potentiated pollen capsules. 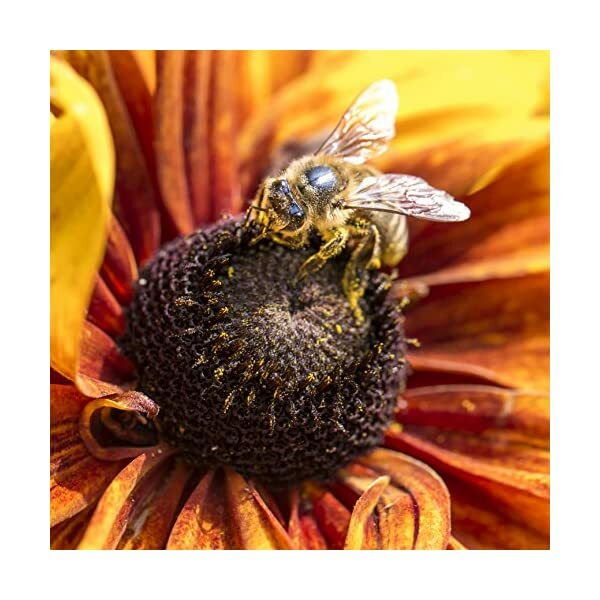 Stay mentally alert and sharp all the time so you can work and play like the busiest bees in the hive. 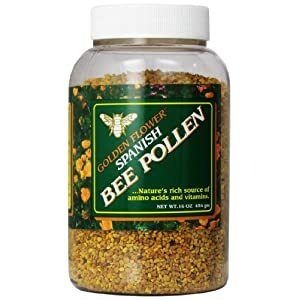 Potentiated pollen is a lot more digestible than normal store bought bee pollen? 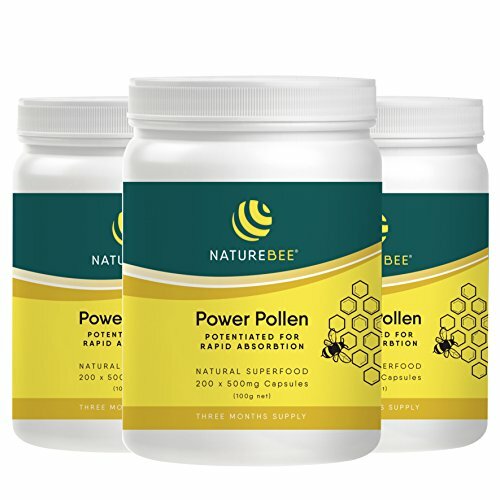 Potentiated ruptures the pollen cell wall and allows your digestive juices to absorb more of the nutrients in the pollen. 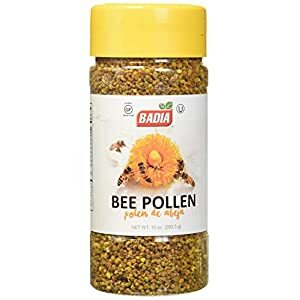 A vegetable food, grown in organic conditions, and containing no additives, pollen has a history that goes back 5,000 years. 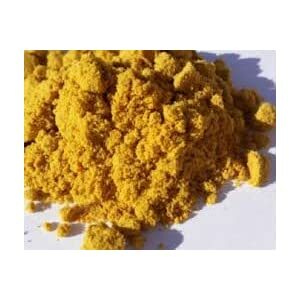 Famous in Chinese, Greek, Aztec, Egyptian and American Indian folk medicine This can be a tonic with rejuvenating power. Today scientists describe pollen as a complete food. 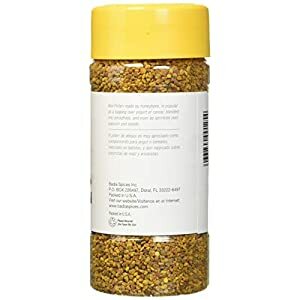 Bee Pollen contains ALL nutrients essential for human survival! The human body is made up of 22 essential elements and pollen is the only food that has each and every one of them. 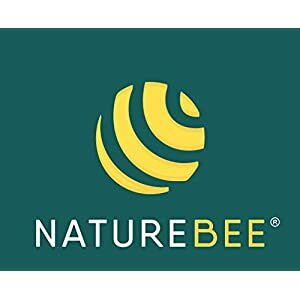 By simply taking 2 – 4 NatureBee capsules a day as a supplement to your normal balanced diet, you’ll be assured of progressing to balanced nutrition for you and your family. All products are sent from New Zealand. Deliveries to East and West Coast USA take approx 7 – 15 working days. Delivery to Mid West States and Hawaii can take up to 20 working days. POWER UP NATURALLY. 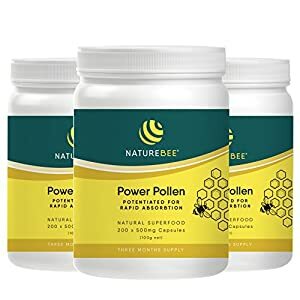 With its 27 vitamins and aminos and 28 minerals, Naturebee Potentiated Pollen is the best and natural way to power up and stay energized all through the day. Get more done with the energy boost you’ve at all times wanted brought to you by Mother Nature. Breeze through your daily routine and even have energy left for your exercise routines at the gym after it all. BOOST YOUR BRAIN POWER. 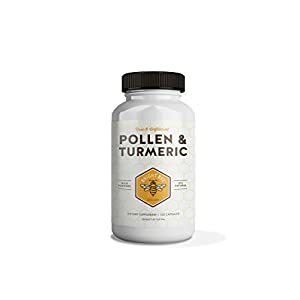 Fight off the damaging effects of stress and your fast paced way of life with 24 Really helpful fatty acids and a balanced range of antioxidants packed in your potentiated pollen capsules. 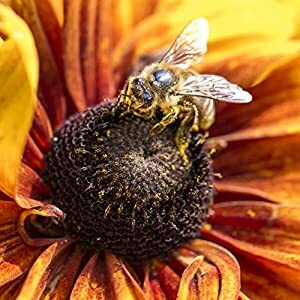 Stay mentally alert and sharp always so you’ll work and play like the busiest bees in the hive. 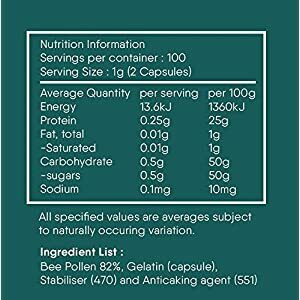 COMPLETE NUTRITION IN ONE. 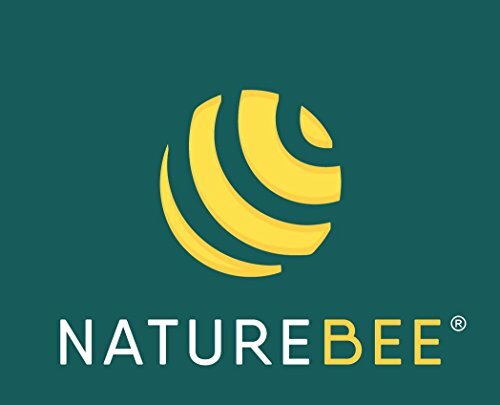 Naturebee Potentiated Pollen Tablets is packed with all nutrients necessary for human survival. 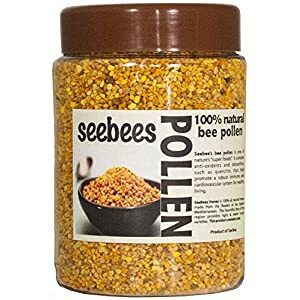 Pollen contains the entire 22 essential elements that make up the human body. 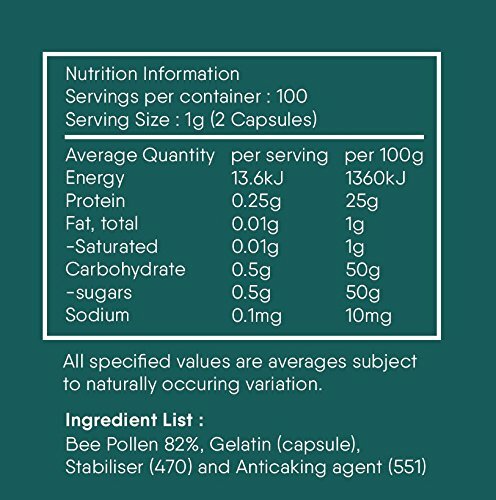 That’s a powerful and pure natural vegetable food in a teeny capsule you’ll take daily to supplement your dietary needs. BETTER DIGESTION. Keep your digestive health in tip top condition with 11 enzymes and co-enzymes that help efficiently break down food and reinforce absorption of nutrients in your body. 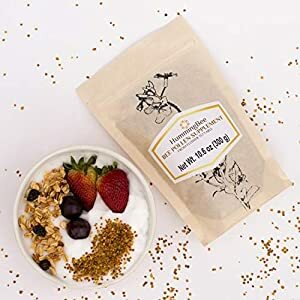 Now you’ll enjoy eating and drinking without worrying about bloating or indigestion. 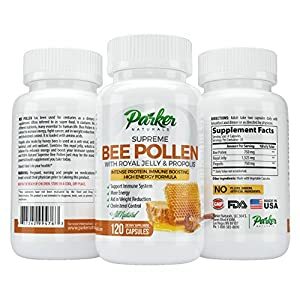 Focus on eating your favorite fresh food and let your pollen pills do the hard work.